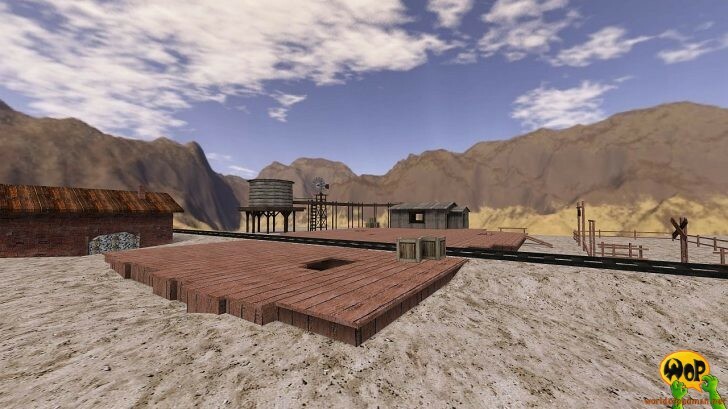 Our friends from Smokin’ Guns recently announced the idea of reviving the development of their game. Téquila, long time no see and head of the team behind Smokin’ Guns, is thinking out loudly to port the game to the Daemon game engine, which itself is developed for the stand alone game Unvanquished. The purpose of using the Daemon engine, apart from being more modern and better maintained, is also to keep Smokin’ Guns as a free game. If you are interested in supporting the team of Smokin’ Guns, you can join their task force on Discord or have a deeper look into their related forum thread. There you can also find some very early screenshots of maps ported for testing purposes to Deamon the quick’n’dirty way by illwieckz. He is developer and one of the project leaders of the Unvanquished Development team and is supporting the Smokin’ Guns team lately. Apart from the current developments, Téquila is asking every mapper who contributed to the project in the past to contact him and tell which license should be applied to his map/content assets, including the map sources. Of course, new contributions will also be welcome as long as Creative Commons License like CC BY-SA 4.0 is chosen first for a good reason. We are looking forward to see more news coming up from Smokin’ Guns.